Abraham Lincoln is proof that greatness comes not from one’s personal wealth but their character. Born into poverty Lincoln was something of a renaissance man. He was a businessman, lawyer, captain in the Illinois militia, postmaster, surveyor, congressman, and of course the 16th President of the United States. He led the country through the Civil war, one of the most horrific events in the history of the United States. He also abolished slavery. Despite not being formally educated, Lincoln was wildly brilliant in many ways. Not only was he a skilled lawyer and politician but he was also privy to the ways of the world and the common man. He lived by the words written in the Constitution. 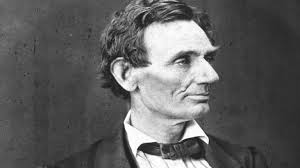 With his large stature and natural charisma, Lincoln was a natural born leader who was easily able to command a crowd. Lincoln delivered some of the most memorable speeches ever. We at MMD decided to highlight 20 of his most prolific quotes dealing with everything from the Constitution to war.